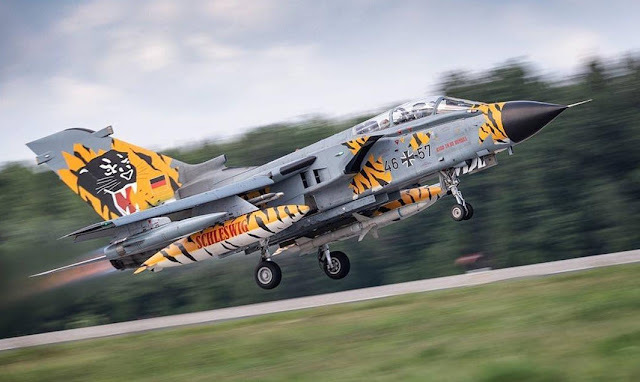 NATO Tiger Meet 2018 (NTM18) is hosted by the Polish Air Force 2nd Tactical Air Wing at Krzesiny Air Base near Poznan, Poland. Twenty-two flying squadrons from Allies Belgium, the Czech Republic, France, Germany, Greece, Hungary, Italy, the Netherlands, Poland, Spain and the United Kingdom and Partners Austria and Switzerland as well as a NATO Airborne Warning and Control System (AWACS) plane – in total approx. 70 aircraft and ten helicopters – are scheduled to participate in the event. Inform the uninformed on this one. What is the purpose of Tiger Meet? I get the impression its just an excuse to get a bunch of brightly colored aircraft together to drink beer. Is that right or am I missing the training experience?